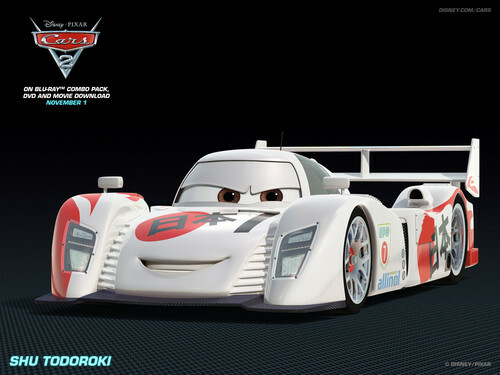 Shu Todoroki. . HD Wallpaper and background images in the Cars 2 (Disney-Pixar) club tagged: cars 2 wallpaper. This Cars 2 (Disney-Pixar) wallpaper might contain stock-car and voiture de stock. Hey! There She Is! Hey! salut Lady! See toi Tomorrow!